My heart melted when my daughter said this last weekend. She’s never taken a ballet class or watched a ballet performance. However, she dressed up as a ballerina for Halloween, and we read lots of ballerina books together. She often twirls around the house, pretending to be a ballerina! So naturally, I decided to integrate ballet into our yoga practice. We talked about how ballerinas need to stretch and warm up their bodies. 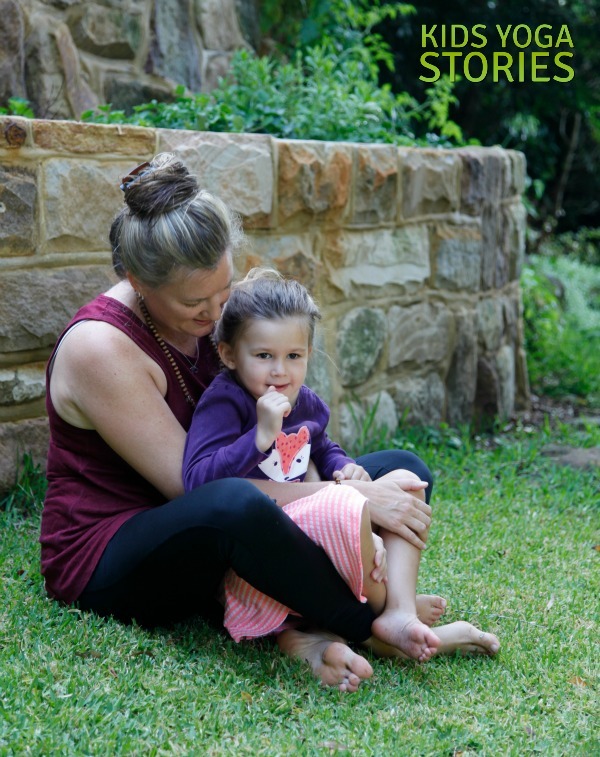 Below, you’ll find five yoga poses for kids that you can practice together while talking about bending, stretching, and strengthening their bodies, just like ballerinas do. 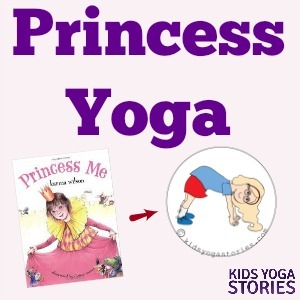 But first, to get in the mood for Ballet Yoga, take out your ballerina picture books, ballerina dolls, ballet sticker books, leotards, tutus, ballet slippers, tiaras, or anything else that your little ones fancy and relate to ballerinas. These are some of our favorite ballet books to get us in the mood for Ballet Yoga. Reading these ballet books has taught us the five basic first positions and other ballet moves like pas de chat, arabesque, jeté, pirouette, and plié. This sweet ballerina series follows a young girl who imagines herself a part of each of these famous ballets: Cinderella, Swan Lake, The Nutcracker, The Sleeping Beauty, and A Midsummer Night’s Dream. The illustrations are delightful, and Ella Bella sweeps the reader up into her imaginary play. Tallulah is a strong-willed girl who is determined to earn a tutu in her ballet class. She eventually learns that earning a tutu through consistent effort is worth the wait. There are a number of other Tallulah books in this series, as well. This darling ballet book is perfect for the young aspiring ballerina. The young girl’s aunt is a professional ballerina who shows her how she gets ready for a ballet. For a birthday present, her aunt brings her up on stage as a surprise. I don’t normally love animals that are humanized, but my daughter loves these two animal ballerina books. Both follow a similar storyline that “animals can’t dance,” but then they prove their talents. My daughter loves Fancy Nancy and Dora the Explorer, so we found these ballet versions. We found these four ballerina books at the library. They’re about a girls’ love for ballet and are great introductions to this graceful practice. 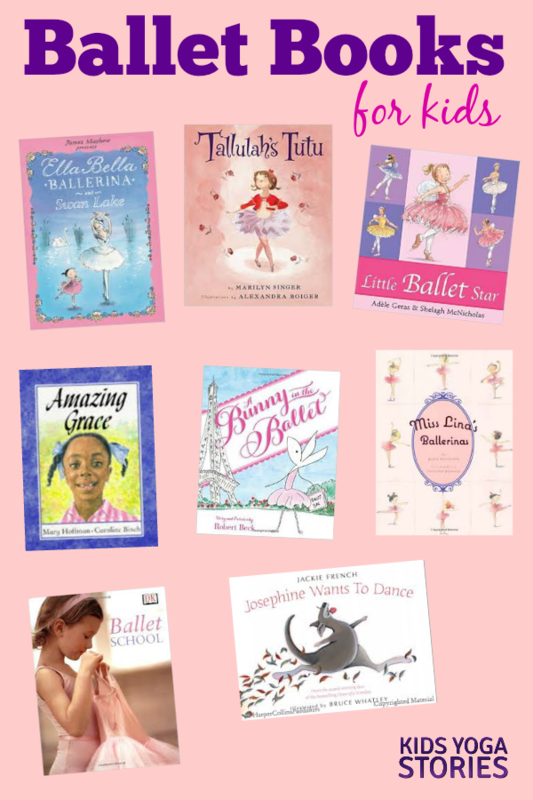 It’s definitely a great idea to ask your librarian to recommend ballerina books. Here are three non-fiction ballerina titles that my daughter picked out at the library. We love looking at the pictures of the real-life ballerinas. Amazing Grace, by Mary Hoffman and Caroline Binch. And last, but not least, the Grace series of books are a must-have in every children’s library. Try these five yoga poses below to pretend to be ballet dancers who are warming up for their practice. 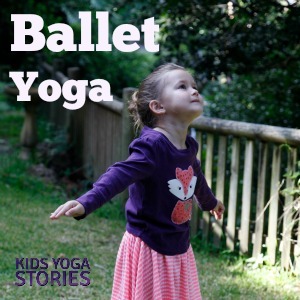 Or encourage your children to make up their own ballet yoga poses. Tree Pose – to practice balancing on one foot. Stand tall in Mountain Pose. Then shift to standing on one leg, bend your knee, place the sole of your foot on your opposite inner thigh, and balance. Repeat on the other side. 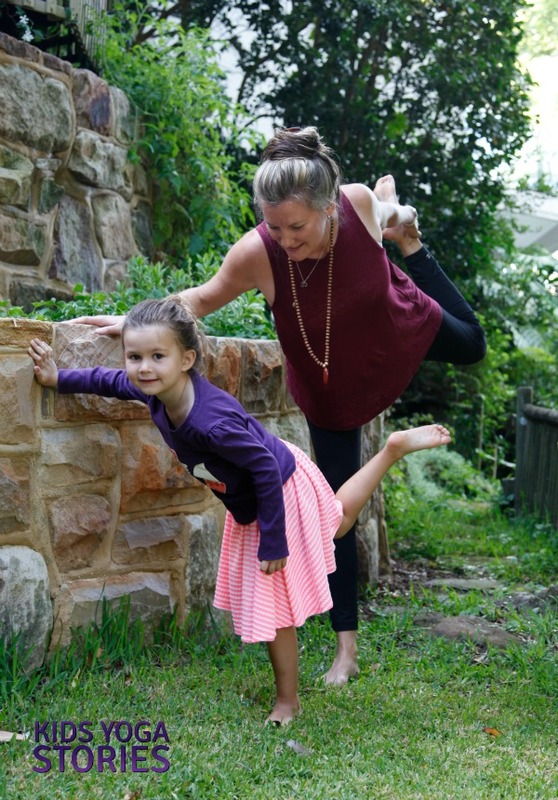 Talk about how Tree Pose can help ballerinas practice balancing while keeping their heads up and backs straight. Dancer’s Pose – to practice back bending. Come back to Mountain Pose. Then stand on one leg, reach the opposite leg out behind you, place the outside of your foot into your hand, bend your torso forward with your arm out in front for balance, and arch your leg up behind you. Think about reaching far forward while gently bending your back and lifting your leg high behind you. Imagine flying across the stage like a ballerina. Repeat on the other side. Boat Pose – to practice strengthening your core. Come to sitting with a tall spine and your legs bent. Lean back slightly, take your arms straight out parallel in front of you, balance on your buttocks, and lift your straightened legs to 45-degree angle in front of you. Keep a tall spine and tighten your belly. Think of strengthening your core in preparation for more difficult ballet moves. Seated Forward Bend – to practice forward bending. Come to sitting on your buttocks with your legs straight out in front of you. Bend your torso forward while keeping your spine straight and gently reach towards your toes. Imagine being a ballerina who is practicing forward bends to increase your flexibility and stretch your spine. You could also practice pointing and flexing your toes. 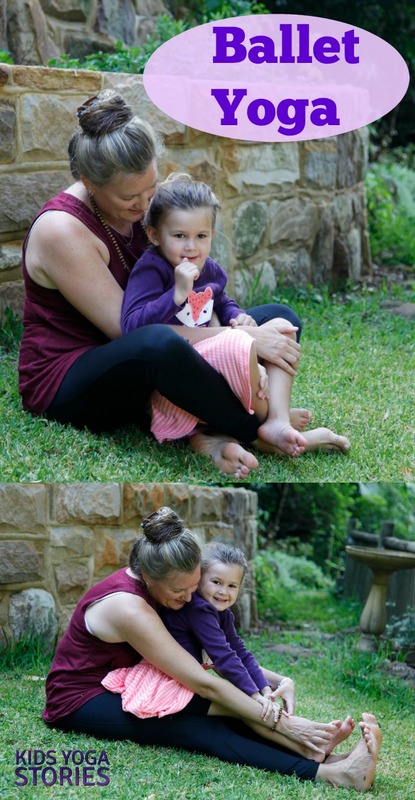 Easy Pose – to practice sitting tall. Cross your legs and rest your hands on your knees. Take your shoulders back, open your chest, and sit tall. Gently bring your knees to the ground and slowly open your hips. You could also practice stretching to each side to open up the sides of your body. Close your eyes if that’s comfortable (or gaze down in front of you). Take a few deep breaths. Imagine being a ballet dancer leaping and twirling across the floor. Imagine what your costume would look like and what music would be playing for your special dance. 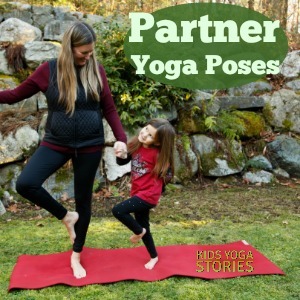 Note that the pictures above were taken during a five-minute photo session and aim to show that the yoga poses for children do not have to be perfectly aligned. Encourage their creativity, feed off their enthusiasm, and just give it a go! 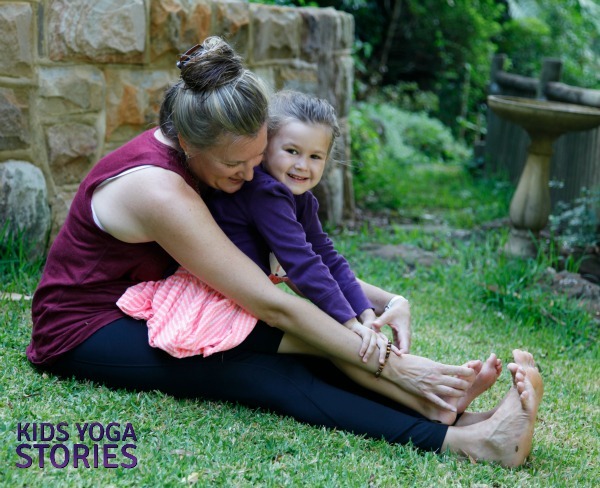 Remember that our job is to plant seeds in our children, and they will hopefully find their own yoga practice as they grow up. 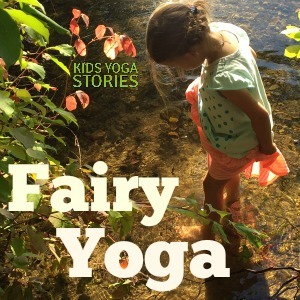 For young children, yoga practice is intended to be fun, joyful, and magical. 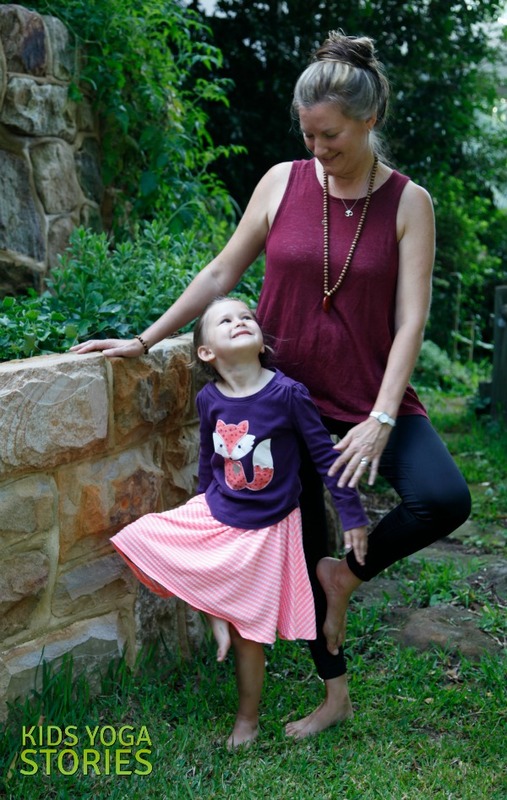 My friend Jennifer from Study at Home Mama also wrote a Ballet Yoga for Kids post here. by adding your email address to the box at the top of the page. What a sweet girl! I’ve got some budding ballerinas here as well. They will enjoy these ideas!